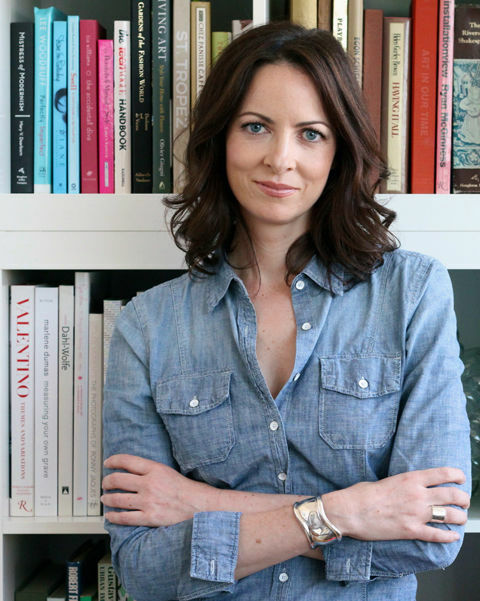 Kerry Diamond will be signing copies of Cherry Bombe: The Cookbook. Photo provided. Girls rule, boys drool. Or something like that. In the world of food, however, men become gods while talented women are oft overlooked. That is, they were until Cherry Bombe magazine hit the scene in 2013 with the mission of celebrating women in food. The national magazine, which published its first issue after a successful Kickstarter campaign, is unabashedly feminine with gorgeous photos and a washed-out pastel motif. Since then, Cherry Bombe has evolved into a modern media empire with co-founders Kerry Diamond and Claudia Wu hosting Jubilee, an annual female-focused conference, in addition to putting out a weekly Cherry Bombe Radio podcast, an international women's supper club, and its first cookbook. "Cherry Bombe: The Cookbook" has that same ethereal feel as the magazine with whimsical yet simple photos, artfully composed. The recipes range from Anya Fernald's simple summer tomato sauce to Leah Penniman's more exotic soup Jou Mou, a Haitian pumpkin soup that is both beautiful and meaningful. Once reserved for whites only, the dish became a symbol of freedom after the 1804 Haitian slave rebellion and is traditionally served on New Year's Day. Amanda Cohen of Dirt Candy in New York City puts forth a simple recipe for Candied Grapefruit Pops that basically requires you to dip grapefruit wedges in a hot syrup of sugar, but the result looks amazing and promises a juicy tart treat. Serve this to your friends at the next dinner party, and you'll be lauded as a genius for sure. Other chefs with recipes in the pink-clad cookbook include regional favorites like Asheville's Katie Button, Raleigh's Ashley Christiensen, and Savannah's Mashama Bailey in addition to famous people like supermodel and cookbook author Chrissy Teigen and Top Chef host Padma Lakshmi. If you have a home cook or a professional chef — male or female— on your holiday list, you might want to make plans to grab a copy of this cookbook. Cherry Bombe's Kerry Diamond will be signing copies this Sunday, Dec. 3 at Monarch Wines at 1107 King St. at the invitation of Lindsay Collins of EffinB Radio. The Charleston-based podcaster was in New York last month with her crew and invited Diamond on to discuss Cherry Bombe and its mission. The Sunday event promises to celebrate some of the best female chefs working in our local industry, including Melanie Durant of Scram and Cynthia Wong of Butcher & Bee (who will be making a Cherry Bombe-themed sweet treat). Morgan Calcote, the wine director of FIG, will join Justin Coleman of Monarch to pour tastings of wines made by female winemakers to include a Prosecco by Lavinia de Alice, a Cotes du Rhone blanc by Catherine Le Goeuil, Sicilian reds from Arianna Occhipinti, and wines from Elisabetta Foradori. The event takes place from 3-5 p.m. and promises to be an intimate affair. Tickets are $20 and include food and wine. Cookbooks will be available for purchase. You can buy tickets in person at Monarch or online through Cherry Bombe.